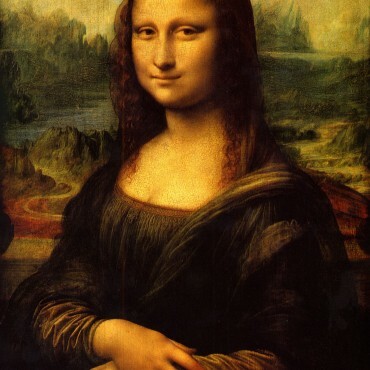 The Mona Lisa was painted by the Italian artist Leonardo da Vinci. It is thought to be the most visited, the most written about, the most sung about work of art in the world! It is displayed at The Louvre museum in Paris. The Mona Lisa is famed for having eyes that follow the viewer around a room. The landscape behind her is higher on one side than the other. 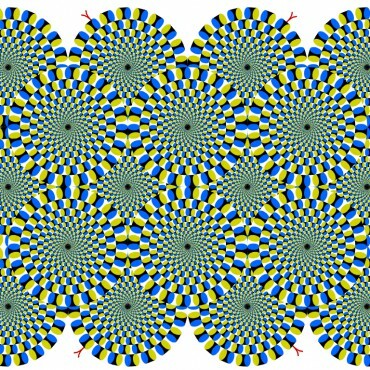 This tricks the viewer into thinking that her eyes are moving. Nobody knows exactly who the woman in the painting is, although it is though to be a lady called Lisa Gherardini. Giuseppe Arcimboldo was an Italian painter best known for creating imaginative portrait heads made entirely of objects such as fruits, vegetables, flowers, fish, and books. 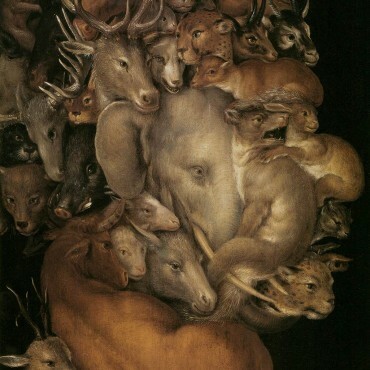 His painting are interesting because your eyes perceive the whole image and then flip back to seeing the animals that make up the whole painting. Charles Allan Gilbert was an American illustrator. 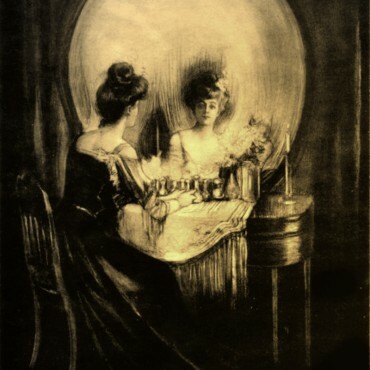 The drawing All Is Vanity uses a double image in which the scene of a woman admiring herself in a mirror, when viewed from a distance, appears to be a human skull. The title is also a pun, as this type of dressing-table is also known as a vanity. Rubin’s vase is a famous set of two-dimensional forms developed around 1915 by the Danish psychologist Edgar Rubin. 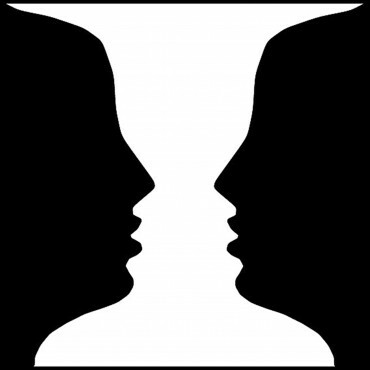 Do you see two faces or a vase? 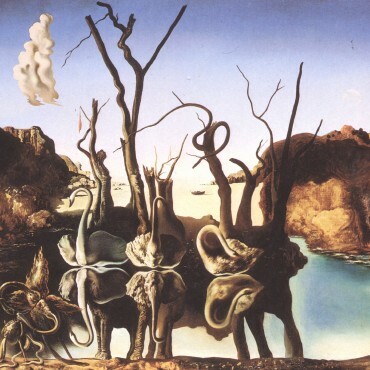 Swans Reflecting Elephants is a painting by the Spanish surrealist artist Salvador Dalí. 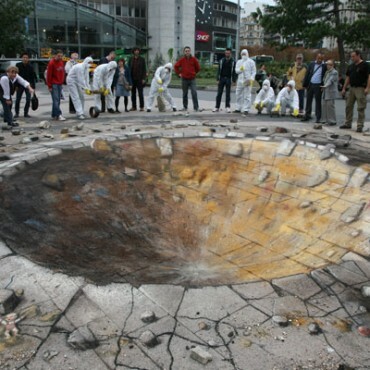 Painted using oil paint on canvas, it contains one of his famous double images. He used this method to create hallucinatory forms, double images and visual illusions that filled his paintings. Swans Reflecting Elephants uses the reflection in a lake to create the double image seen in the painting. 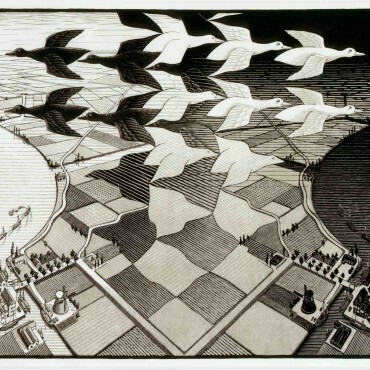 Maurits Cornelis Escher was a Dutch graphic artist. He is known for his mathematically inspired woodcuts and lithograph prints. These feature impossible constructions, explorations of infinity, architecture, and tessellations (repeated shapes that fit into each other exactly). Rex Whistler was a British artist, illustrator and a set and costume designer for the West End theatres in London. He had a career that covered many creative pursuits. Tinker and Housewife was one of many illustrations he did of reversible heads. The illustrations were first published in a book called OHO in 1946, after his death. 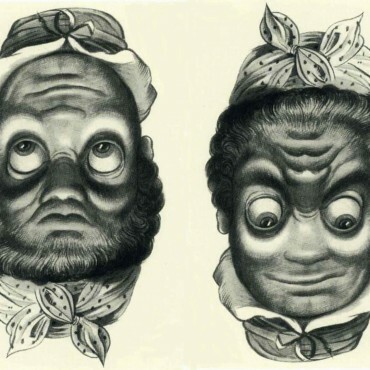 These illustrations played with optical illusion – if you viewed the illustration one way it would be a tinker and if you turned it upside-down you would see a housewife. Others in the series included a policeman that turns into a sailor, and a queen that turns into a king. 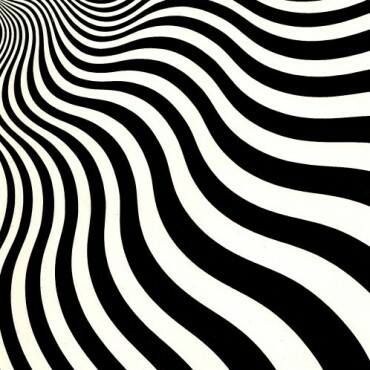 Bridget Riley is an English painter who is known for her optical art. 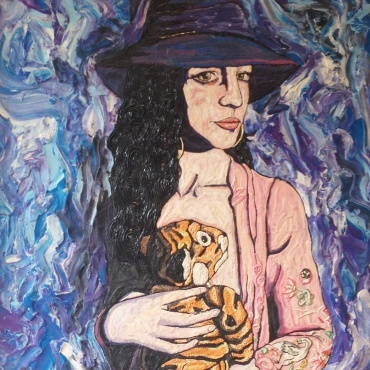 Her works are abstract and often black and white. 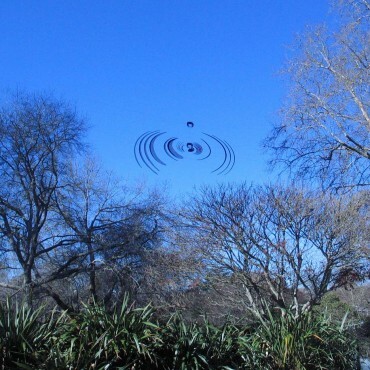 When the viewer looks at them, the impression is given of movement, hidden images, flashing and vibration, patterns, or alternatively, of swelling or warping. 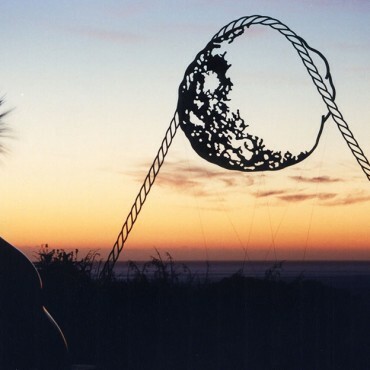 Neil Dawson is a New Zealand sculptor. 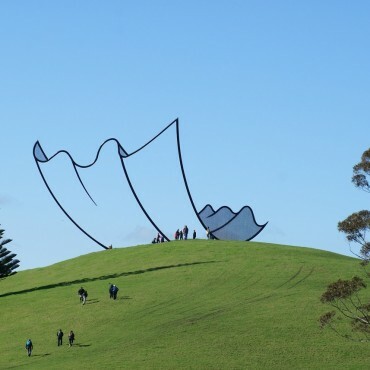 His best-known works are large-scale public sculptures made from aluminium and stainless steel. He often uses illusion and optical patterns such as moiré (wavy pattern, like in fabric) to achieve the effects. 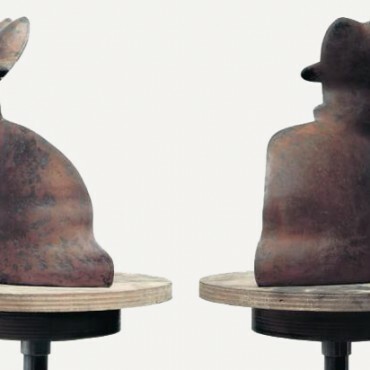 Tim Webster and Sue Noble are two British artists who worked as a collaborative duo. 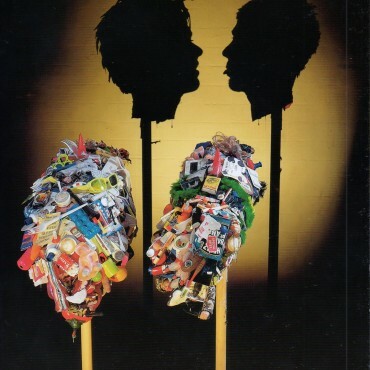 Miss Understood & Mr Meanor was the first shadow illusion work they made for discarded household waste. The objects and lighting is positioned in such a way, that the shadow cast creates a sharp impression of two heads in the gallery space. 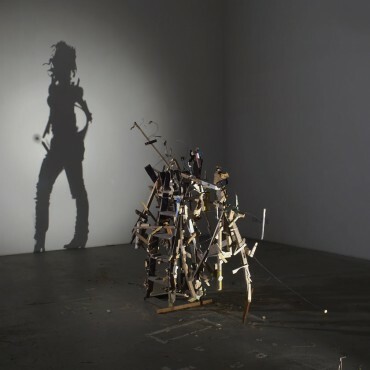 The Individual is a more current work made from a wooden stepladder, discarded wood and a light projector. 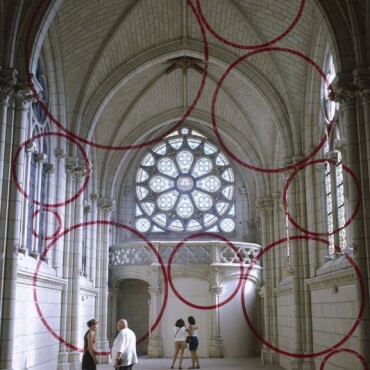 Felice Varini is a Swiss artist that paints geometric patterns on urban spaces such as buildings, streets and walls. 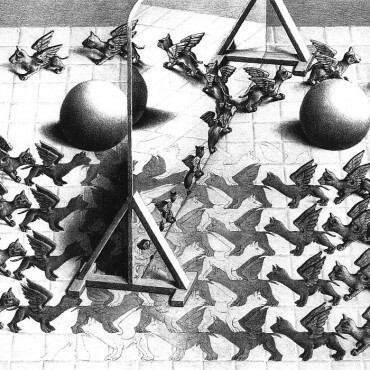 There is always one vantage point from which the viewer can see the complete painting, while from other viewpoints the geometric shapes are broken and fragmented. He uses a projector to map out designs and create the illusions of suspended shapes. Akiyoshi Kitaoka is a professor of psychology in Kyoto, Japan. He specialises in visual perception and visual illusions of geometrical shape, brightness, colour, in motion illusions and other visual phenomena. He is renouned for designing the peripheral drift illusion Rotating Snakes. 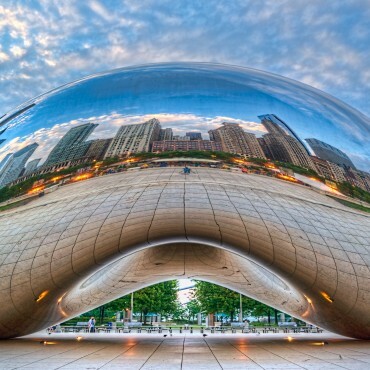 Cloud Gate is a public sculpture by Indian-born, British artist Anish Kapoor. The sculpture is in the AT&T Plaza at Millennium Park in the Loop community area of Chicago, Illinois. It is made up of 168 stainless steel plates welded together. The seems are highly polished so it has no visible seams. 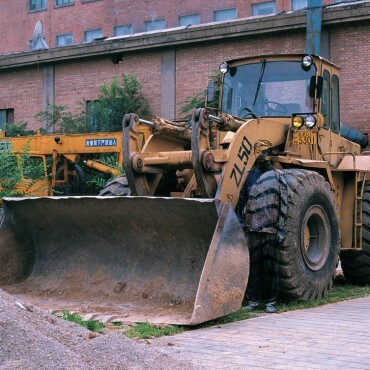 It measures 10x20x13 meters and weighs 110 tons. 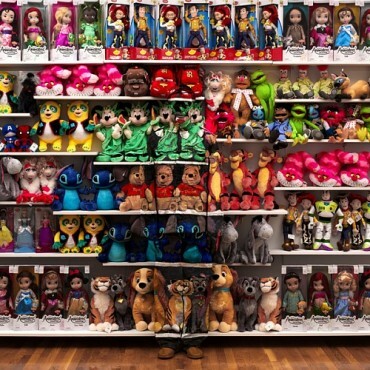 Chinese artist Liu Bolin, has often be referred to as ‘The Invisible Man’. He paints his entire body to match the surrounding environment. When he is photographed it can be near-impossible to spot him. The backgrounds range from shop interiors, to decorative walls, ships in a port and tanks! 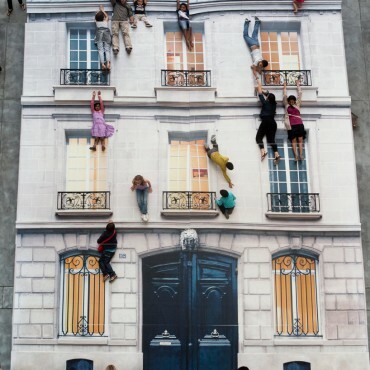 Leandro Erlich is an Argentine artist who blurs the lines between the real and the illusory by skilfully constructing mesmerizing 3D visual illusions that confuse our idea of reality and space. 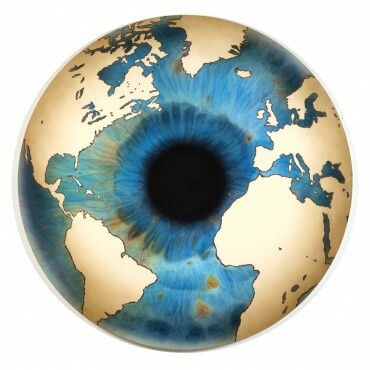 Henry Hudson is a British artist who makes paintings, sculpture, etchings and who does performances too. He now lives and works in the East End of London. 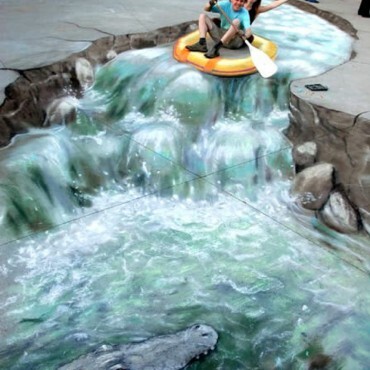 For the past 7 years, he has been using plasticine in his artwork.